Just like the fashion brand that fills it, Burberry’s flagship store on London’s exclusive Regent Street blends heritage and forward-thinking digital technology. There are immersive audiovisual experiences, mirrors that turn to screens showing exclusive video, live streaming of events, and staff have instant access to customers’ purchase history and preferences via iPads, allowing a highly tailored shopping experience. Then there’s the restored Royal Box and Wurlitzer organ – throwbacks to the building’s time as a cinema – and the timeless clothing that Burberry is so celebrated for. 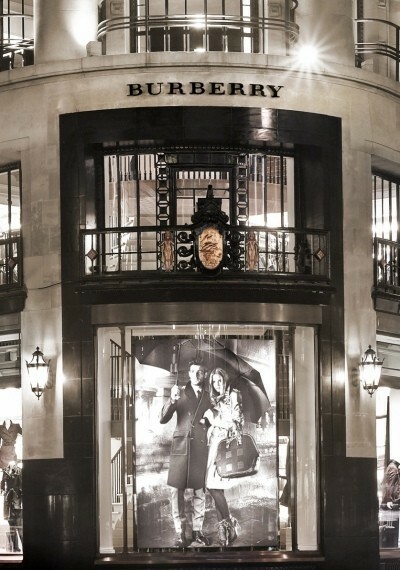 Plus, there’s an in-store monogramming service and a café were you can take a moment to relax into the world of Burberry.